Each of our behavior wellness team members brings unique expertise to the program. 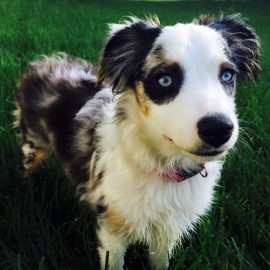 Our trainers are highly educated and have over 30 years combined dog care and training professional experience. We are confident and prepared to be your go-to team for any behavioral wellness questions or needs. 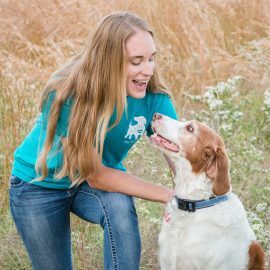 Kathrine is a certificant in training and counseling from the renowned Academy for Dog Trainers, an associate certified animal behavior consultant with the IAABC, and a Fear Free certified professional. She also holds an undergraduate degree in Psychology with an emphasis in animal behavior. 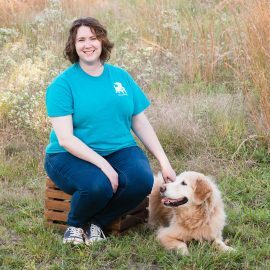 Kathrine is currently involved in the Academy’s Husbandry Project, a team effort to design standardized training plans to create positive vet visits for dogs. Kathrine was motivated to learn husbandry by her first dog, Ginger, who was very fearful of nail trims. 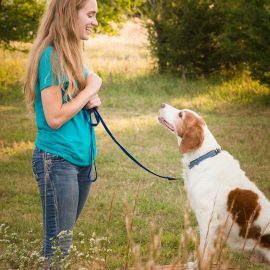 Ginger taught her that training to accept handling and husbandry can be just as important to a dog’s quality of life as obedience training. Vanessa holds a Master’s degree in experimental psychology and is our resident expert on scientific research and all things brain-related. She assists in staff training presentations and enjoys engaging audiences with her endless knowledge of canine science. Vanessa is also a graduate of the Karen Pryor Academy for professional dog trainers. 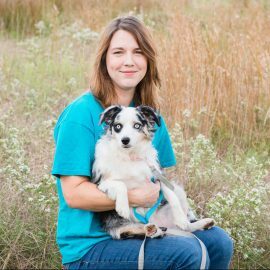 Doreen Hardiman is a graduate of the Animal Behavior College and a current freshman in the Academy for Dog Trainers. 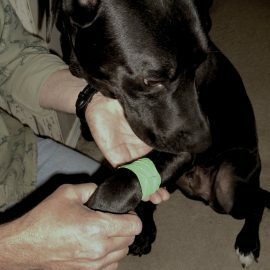 She is our resident expert on emergency medical care for pets and teaches our classes on pet first aid and CPR. 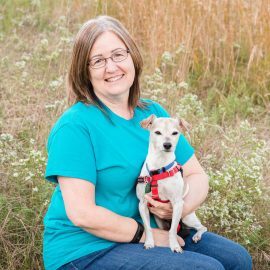 She is a certified PetTech Instructor and enjoys helping individuals and pet care professionals learn how to be confident in emergency situations. Lindsay is our very own Canadian and is the director of business development for Hands Full Dog Training. She is the primary contact for the behavior wellness program and will deliver folders, booklets, our marketing materials, and occasional swag and cookies. Therefore, she is likely to be your favorite team member. It’s ok, she’s our favorite, too! A monthly supply of elegant new client folders with training tips for puppies and adult dogs. We’ll deliver them right to your door – all at no cost to you. Keep professional-quality behavior recommendations at your fingertips! Twenty plus handouts available to download and print will help keep your clients satisfied with their dogs. Increase your vet tech & staff confidence through quarterly behavior wellness presentations. We introduce new topics yearly and include 1 staff lunch per year, too! Adopted dog booklets help owners of newly rescued dogs integrate their pets into their family. Up to fifty a year are included free of charge. Your clients will receive a promotional code for $15 off any training service. This code may be used once per dog. Treat your staff with a promotional code for 20% off training services. This may be used every time they choose to train with Hands Full Dog Training. 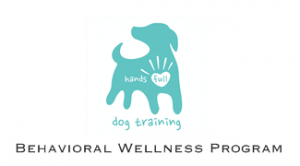 Wellness training helps people care for the health of their pets and improves client retention. 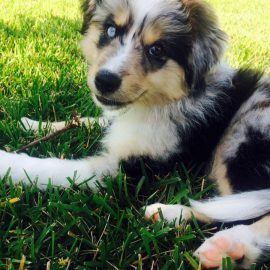 We offer these niche services to all of our clients in order to support low-stress vet visits for dogs and humans. We will help your patients enjoy walking in the doors of your clinic. 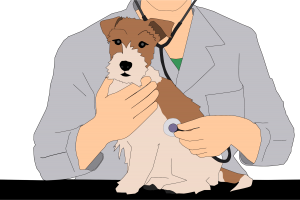 We offer these services with veterinarian approval only, as they will require limited use of an exam room. In-clinic services offered with veterinarian approval only, as they will require limited use of an exam room. Would your clients know what to do in an emergency? This class is 5.5 hours and includes a 40+ page handbook. Attendees will receive a certificate. Due to licensing agreements, we are unable to offer a discount on the PetTech programs. Please call or email us any time for general questions!